John interviewed Ehrlich for T magazine’s latest issue because he’s a huge fan. Since its launch in July, "Elton John's Rocket Hour" show on Beats 1 has served as a platform for the 69-year-old to showcase some of his favorite tunes from emerging artists. It just so happens that one of Sir Elton John's favorite bands of the moment is Whitney, the Chicago-based band composed of Max Kakacek and Julien Ehrlich. John recently sat down with Ehrlich for an interview in T magazine and the two discussed their favorite records of the year and their love of performing. In the interview, John tells Ehrlich that, in addition to being a big of Whitney, he also enjoys Nao, Laura Mvula, Christine and the Queens, and more. They both agree that Frank Ocean's Blonde is a great record, and John adds, " I love sad music. When I was doing a lot of drugs, I would hate what I was doing. I would be on my own doing coke and just hating myself. Then I’d be listening to Kate Bush and it would make me cry. Peter Gabriel would make me cry. I knew that one day I would get well, but if I hadn’t had the music with me during that period I would probably not be here." 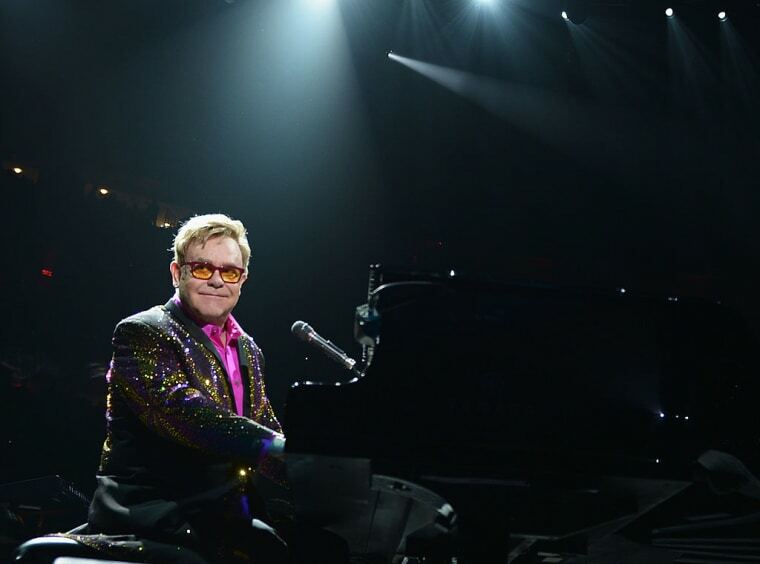 Read Sir Elton John's interview with Julien Ehrlich here. Revisit Whitney's 2015 GEN F profile from The FADER.